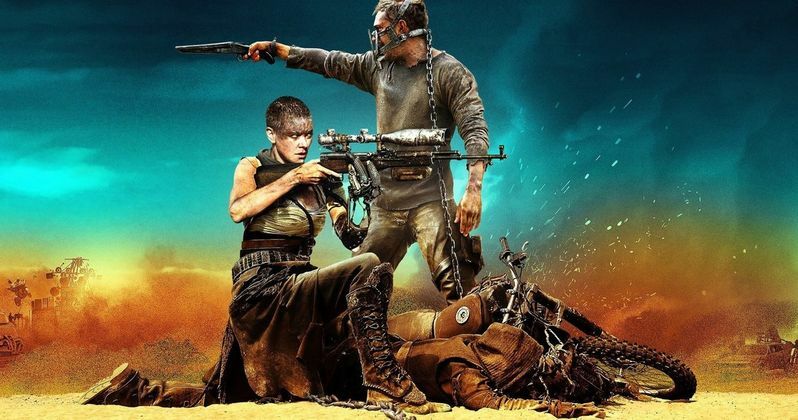 While 2015's Mad Max: Fury Road was one of the biggest critical and commercial hits of 2015, there had long been rumors that its two stars, Tom Hardy and Charlize Theron simply did not get along. Nothing specific about their reported spat has surfaced since then, but their animosity towards one another was confirmed by their co-star, Zoe Kravitz, during an appearance on Bravo's Watch What Happens Live. Here's what the actress had to say during her appearance on the show, when a caller asked if she witnessed any "beef" between Tom Hardy and Charlize Theron on the Mad Max: Fury Road set. "They didn't get along. We were also in the desert for so long. I think everyone was tired, and confused, and homesick. We saw nothing but sand for six months. You go crazy, you do. It's not even personal. I actually don't know if there was one issue. I just think it was like they weren't vibing. It's like summer camp, you know. At some point, everybody has issues with somebody because it's just the way people are." The actress appeared on Watch What Happens Live alongside her Rough Night co-star Ilana Glazer to promote their upcoming movie. When Zoe Kravitz mentioned that there wasn't one issue, Ilana Glazer joked that they argued about abortion and reproductive rights. Regardless of the actors' distaste for one another, it may have actually helped their characters in the movie, since they don't exactly get off on the right foot upon their first meeting in the desert wasteland. Regardless of this "beef," Charlize Theron revealed last year that she is ready to return as Furiosa in the highly-anticipated Mad Max 5, which also presumably stars Tom Hardy, so it seems their feud isn't bad enough that she doesn't want to return. It's also worth noting that this sequel will likely not happen for quite some time, with writer-director George Miller revealing on several occasions that he plans to make a much smaller movie before returning for Mad Max 5. No details have been given about this smaller project, or when it may go into production, but the filmmaker has also confirmed he has two Mad Max sequel scripts ready to go, which he wrote during the lengthy production delays on Mad Max: Fury Road. As for the sequel, reportedly entitled Mad Max: The Wasteland, the last update we had was from filmmaker George Miller, who revealed that the script for this project and a third sequel are both finished, but the director didn't give any indication of when they may actually start production, revealing that they will only happen if "the planets align." Given the success of Mad Max: Fury Road, it will be surprising if these sequels don't happen sooner rather than later.